* vitality and a high maternal ability are extremely important: our ewes are to delever their lambs easily and have to raise lambs with a high growth rate. Moreover we are strict adepts to sheep demonstrating the Texel sheep traits; showing the specific caracter stays important. 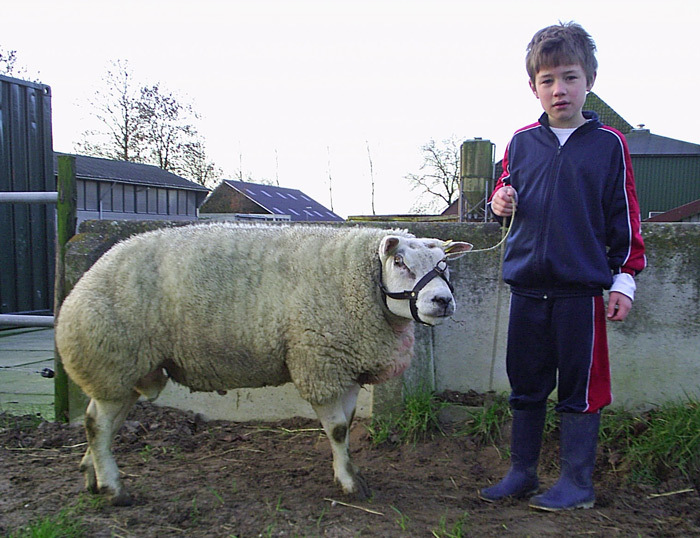 All in all we love a functional, vital and well balanced sheep that thrives in any flock and thus is the ultimate stud ram for flockbook breeding as well as the production of high quality butcherlambs. All our sheep cary the ARR/ARR genotype and the flock is maidi-visna monitored. If you're interested in our products or if you wish to obtain information, please feel welcome to contact or visit us.